Since 1887, the famous White Owl cigars have set the standard by which all other domestic cigars are judged. Today, this ever-expanding hallmark brand offers cigars in an incredible array of shapes, sizes, and unique flavors. There is a White Owl cigar for just about anybody’s taste! They have slowly grown into one of the most popular and most recognized brands of cigars in the country. 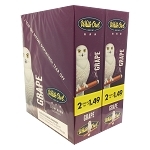 Many people are familiar with the bright foil packaging that is used for individual White Owl cigars. The signature while owl sitting on the logo is easily identifiable as well. They are also well known for the variety of flavors that are currently available. The cigars come in a variety of sizes and diameters. 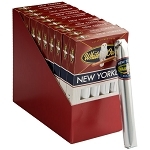 They are priced economically unlike certain exceptionally rare or high-end cigars. This has made White Owl cigars very accessible. White Owl cigars are rolled by machines. The machine rolling does not degrade the flavor or quality of the cigars in any way. It is one of the main reasons for their economical price point. Each cigar uses a blend of different tobaccos from anywhere between five to six countries depending on the style. The tobacco blends gives White Owl cigars a very mild to moderate flavor. They are not overwhelming or harsh. This makes them a good choice for anyone who is just starting to explore the world of cigars. Something that keeps aficionados coming back to White Owl cigars is the consistency of the flavor and blends. 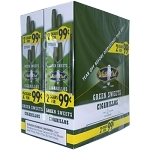 White Owl cigars come in one of the widest selections of flavors available today. The fruit flavors include grape, peach, mango and pineapple. The cigars also come in flavors that are only defined by colors like blue, silver and black. A good amount of effort goes into creating unique and recognizable flavors for the cigars. 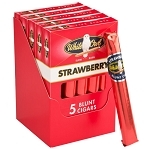 Something that makes flavored White Owl cigars very popular is that the flavor is pronounced. It can be smelled outside of the package. It can be tasted on the wrapper. The most popular flavors are the grape and white grape because they provide a subtle sweetness that goes well with the tobacco. Although the flavors are pronounced, they do not overwhelm the tobacco. White Owl cigars are the preferred choice for many aficionados. 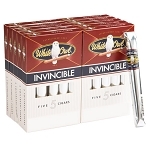 They are an exceptionally good choice for an everyday cigar to smoke after a long day. The cigars burn evenly and consistently. They are easy to restart later and produce a minimal amount of ash. The wrapping is very tight and solid so that there are no problems with the structure of the cigar while smoking. White Owl cigars are a solid choice that should be in any home or humidor.